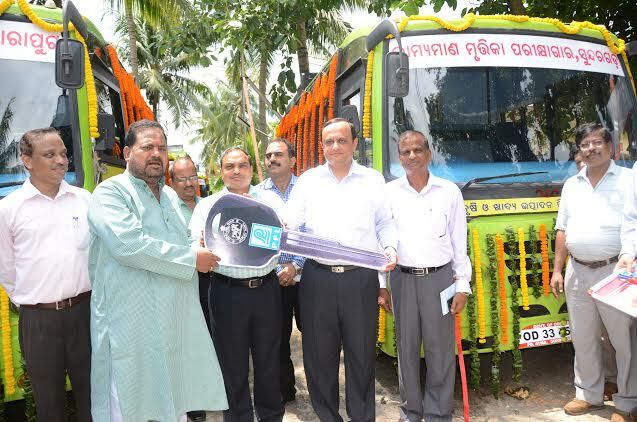 Farmers in Cuttack, Mayurbhanj, Sundargarh, Ganjam and Koraput districts need not visit the Agriculture College to conduct soil fertility tests as five mobile soil-testing laboratories (vans) have been launched for their convenience by Minister, Agriculture, Fisheries & Animal Resouces Development Sri Pradeep Maharathy on 11th September 2014. ELICO, Hyderabad has provided the airconditioned vans with all equipments for soil testing. These are procured under "National Project on Management of Soil Health & Fertility 2013-14”. Govt. of Odisha and PPL have joined hands for setting up these labs.